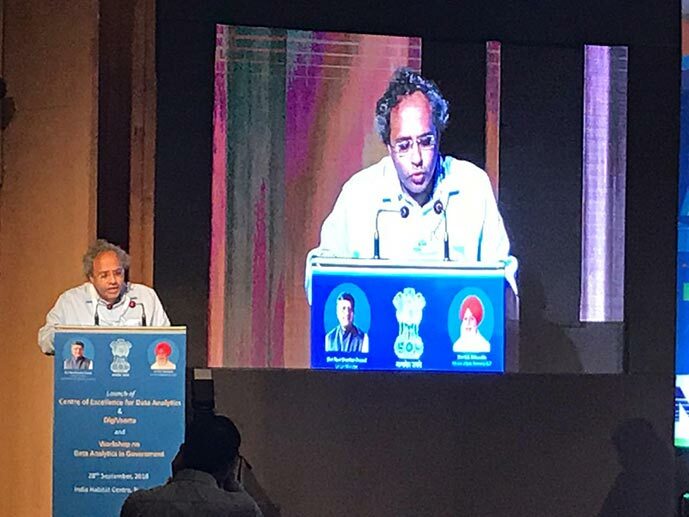 CDFI supported award winning mobile-based platform for literacy, outreach and assessment called ‘Samwad’ (meaning conversation) is currently being used by Ministry of Electronics and Information Technology’s (MeitY) country-wide awareness program on digital payments - ‘DigiVaarta’. 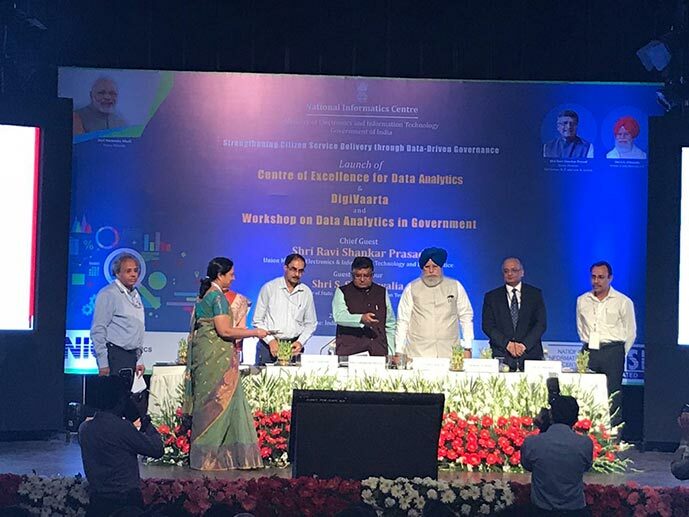 The campaign was launched by Hon’ble Minister for Electronics and Information Technology on 28th September, 2018. The program is expected to engage with at least 60 million citizens in its first phase. Toll free SMS based two-way communication is the key feature of the program. For DigiVaarta, a toll free number 14444 for sending and receiving messages has been obtained. This is one of the very few numbers on which bi-directional communication (sending and receiving messages) has been allowed by the Government. 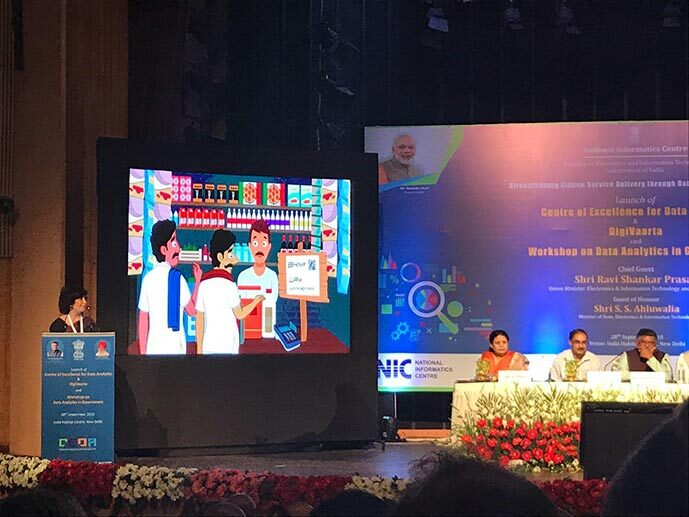 Citizens can learn about the various modes of Digital Payments – BHIM, IMPS, Cards, Aadhaar Payments, Wallets and Bharat QR by simply sending a message to the number ‘14444’. 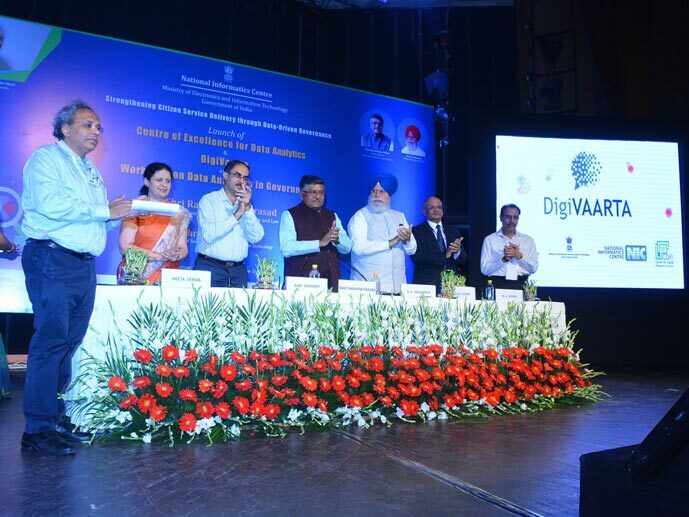 As part of the DigiVaarta program, a DigiVaarta Mobile App has also been launched. Smartphone users can use the App to learn about the Digital payment modes. Multimedia content such as images and video and audio files can also be communicated. Since the program has been launched in pilot mode in NCR, the content is currently available in only two languages – Hindi and English. However, content can be made available in various Indian languages. Samwad is a generic platform for adaptation in multiple domains and a similar two-way engagement can be activated to spread awareness about any other Government scheme for any target group thereby solving information asymmetry and awareness issues that are pervasive.